I believe that one of the most important traits in humans is kindness. What better method to start to instill this into children is through picture books. They are a powerful form of communication and education and if done in an engaging and fun way, can help children build important skills and knowledge for their future selves. 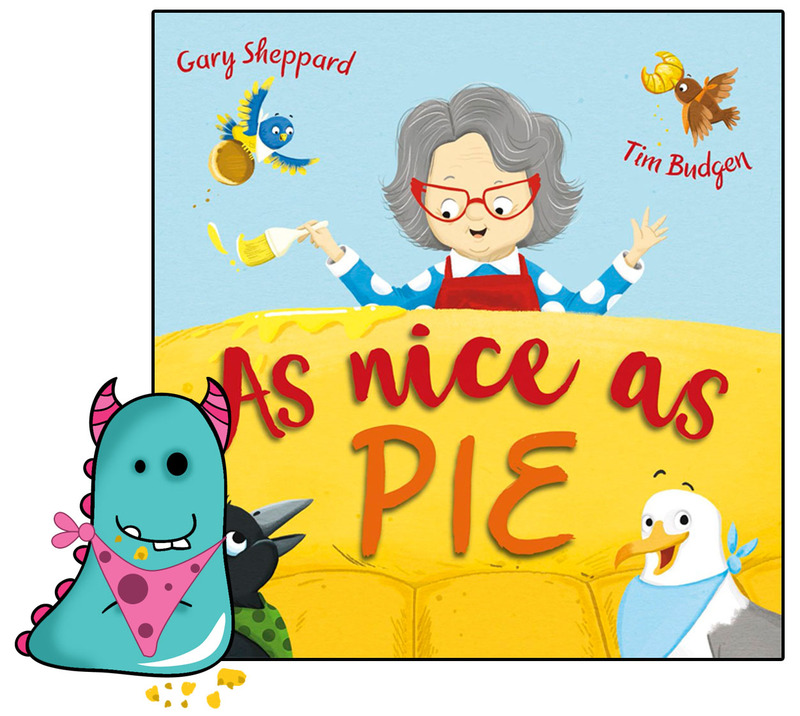 As Nice as Pie written by Gary Sheppard, illustrated by Tim Budgen and published by Maverick Arts Publishing achieves exactly this. It tells the story of a kind lady named Mavis, who loves to share, care and cook! So she starts sharing her cooking with the wild birds. The numbers grow and grow and the birds start to get really quite demanding and greedy, taking advantage of poor Mavis’s generosity. However, Mavis is not the walkover she may seem, and so the flighty lady cooks up a plan to teach the birds a lesson in good manners and kindness! I sat and read As Nice as Pie out loud, and it’s wonderful. Gary Sheppard has written this in rhyme, which has been perfectly done. it flows brilliantly well, making it a pleasure to read out loud and a joy for children to listen to. An ideal storytime read in schools, libraries and at home. Gary has included the important points about kindness and not taking advantage of people, but also some counting elements, and lots and lots of different kinds of birds! So there is plenty that children can take away from the story and numerous directions teachers, parents and carers can take the book in discussions. Ample activity potential too. But most importantly it’s just a huge amount of fun! A lovely, lively and funny story which will engage young children. Main character, Mavis Manewaring, may seem like a sweet little old lady, who is taken advantage of, but she is in fact a vivacious, intelligent and plucky character, who fights for her dream and refuses to let the birds be overcome with greed! a wonderful example of a female role model and elderly book character. I have been a fan of Tim Budgen’s illustrations for a long time, and this book is a shining example of his work. It is bright and colourful and packed full of gorgeous details to interest children. The birds in this are superbly done, each one representing their breed so perfectly, but also with bags of personality! I can’t begin to imagine how much work must have been involved in that process, but I believe it was worth every brush stroke. Every page brought a big smile to my face. This book has a valuable lesson to give about being kind, but also about accepting kindness and not taking advantage of it. About gratitude and giving back. Very very important for young children, and adults too!! 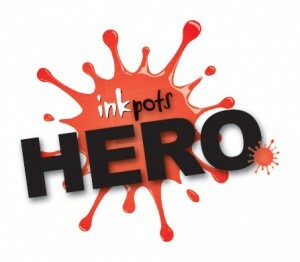 However, what Maverick publishing and their team excel at is creating picture books with an important message which are still thoroughly entertaining and fun to read, so that children will engage, enjoy and not even realise they are learning! 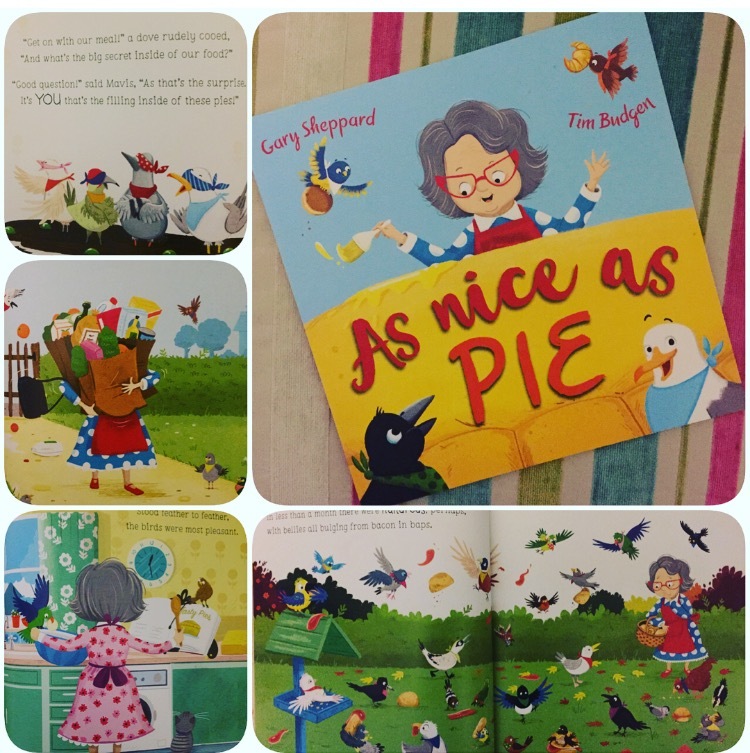 As Nice as Pie is available from all good book shops and libraries now! Thank you for reading this rather tasty Book Monster review. 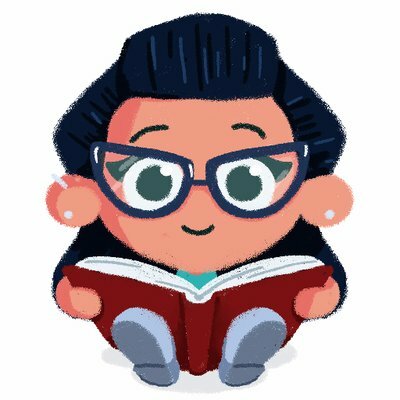 Next Post Happy New Book Year!